The statistics alone simply can’t do justice to how extraordinary the wildlife of South Georgia is. At the height of the breeding season there are said to be more wildlife per square foot here than any other place on the planet. This is the place to experience the greatest density of wildlife on the planet. What’s so special about South Georgia’s wildlife? If you’re into wildlife or photography you would be mad not to consider going to South Georgia. Chinstraps (6,000 pairs), adelie and rockhopper are also found, but in far fewer numbers. St Andrews Bay & Salisbury Plain are the most famous penguin colonies on South Georgia, both with +200,000 king penguins. Standing shoulder-to-shoulder and set against the dramatic backdrop, the visual and olfactory assault is really quite something. Hard to miss being a dominant force on many beaches, the islands’ seal population is truly staggering. Fur seals: There are well over 2 million southern fur seals, with 95% of the world's population converging on South Georgia each summer. The fur seal population was all but wiped out by sealers but they’ve sprung back with a vengeance. Found in such thick densities in December at the height of the breeding season, going ashore can be a real challenge and at times it simply isn’t practical to try to do so. 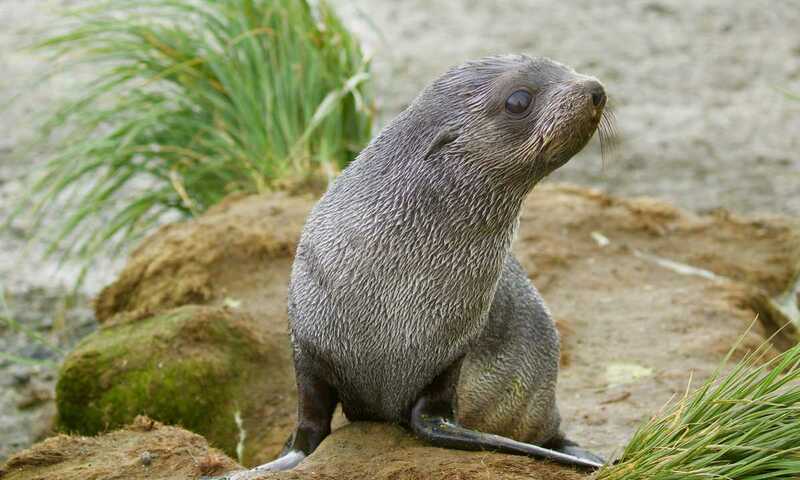 Caution when walking amongst fur seals is strongly advised as they can be aggressive. Elephant seals: On top of the fur seals, half of the world's population of southern elephant seals (more than 400,000 individual animals) also come to South Georgia to breed. Their curious name comes from their vast size and the large proboscis belonging to the massive adult males. Males elephant seals can be over 20 feet/ 6m long and weigh up to 8,800 pounds (4,000kg) making the beachmaster males defending their harem during November’s mating season a formidable sight. A haven for birdlife, South Georgia is the world’s most important seabird breeding site with an estimated population of well over 10 million birds. There are 78 known bird species on South Georgia, including half the world’s population of Antarctic prions and 250,000 albatrosses of different species. One fifth of the world’s wandering albatrosses - the bird with the largest wingspan of all at over 3 metres - also calls this small island ‘Home’. 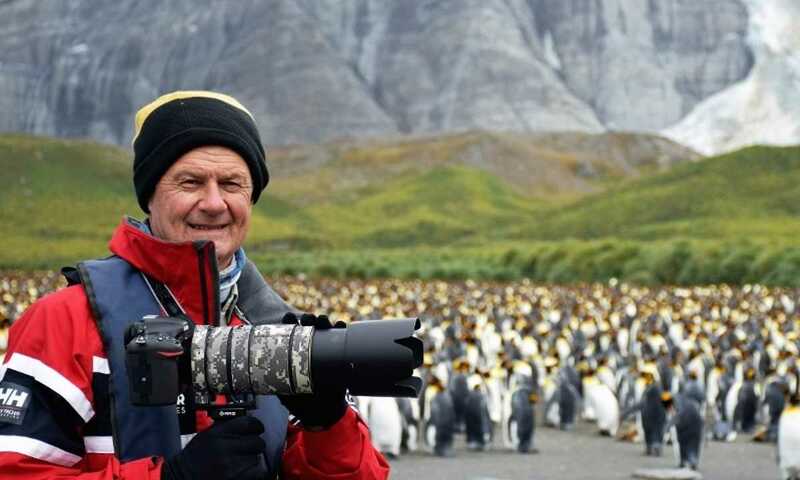 For bird enthusiasts, Prion Island is a ‘must see’ and well worth timing your visit when it's open to visitors. The biggest drawcard are the nesting wandering albatross sites which are accessible via a series of boardwalks. Access to the island is strictly controlled; it's closed to all visitors between 20th November - 7th January (inclusive). One of the great benefits of exploring South Georgia by ship is the chance to see cetaceans, the oceans gracile giants. Humpbacks start to arrive from their tropical breeding grounds in November and are frequently sighted, particularly between the island and Antarctica. Easily identified by their long white pectoral fins. Fin whales are also in residence, the second-largest of the great whales, particularly off the island’s southern coast. There’s also the possibility of sighting both southern right and blue whales. Blue whales are easy to spot by their sheer bulk and their small curved dorsal fin located well back on the body. The dorsal fin and pigmentation pattern on the side of blue whales provide a fingerprint for identification. The kings at St Andrews Bay & Salisbury Plain are incredible and I’m fascinated by the history of Grytviken and Stromness, but Gold Harbour at sunrise is the favourite for me. How Can Swoop Antarctica Help You? When’s the best time to maximise wildlife sightings? There isn’t really a best time to visit as you are guaranteed animals in vast numbers at any time. Keen birders should check that their visit coincides with when Prion Island is accessible. When is Prion Island accessible? Prion Island is renowned for its nesting wandering albatross. Access to the island is strictly controlled; it's closed to all visitors between 20th November - 7th January (inclusive) so time your visit outside these dates. How close do you get to wildlife? Very close is the short answer! The combination of densities of South Georgia’s wildlife and their lack of fear of man means getting close to wildlife isn’t the challenge, it's giving them enough space which is. Finding a curious penguin pecking your rubber boot is common. Which boats have the best naturalists onboard? This is a tough one, not last because it’s very subjective, but one of Swoop’s Polar Specialists can help here as we know many of the expedition staff. Will there be other keen photographers onboard? Absolutely. Being a photographers paradise there will definitely be plenty of camera-toting photographers on board. There are in fact specialist South Georgia Photography cruises too. ​For sheer density of wildlife, majestic scenery, riveting history and remoteness, South Georgia is hard to beat in every single one of these categories. It’s one of the least visited places on earth, however the time and effort invested to get there is paid off with rich dividends.